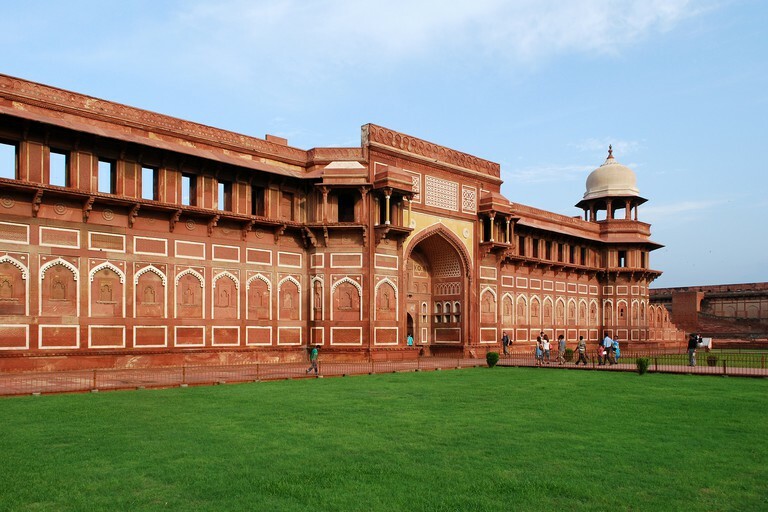 Agra Fort is the second-most visited monument in the city, right after Taj Mahal in Agra. 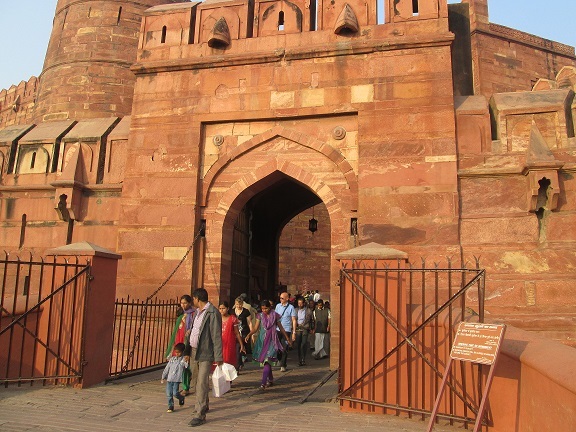 Agra used to be the capital of Mughal Empire and the fort was built as the royal residence. Previously also called as Badalgarh Fort. Later, this was one of the first monuments in the country to be tagged as a heritage site. Rajput kings and it was called as Badalgarh. the fort was built as a military installation rather than a royal residence. The 70-foot wall stretched for around 2 km of land. When the fort ended up under Shah Jahan, great grandson of Akbar in 17 th century, he tore down several palaces and structures inside the fort to make space for marble palaces. Later, his son, Aurangazeb expanded the fort’s outer wall into a moat and formed a secret escape tunnel. After Aurngazeb’s death in 18th century, the Agra Fort was left to become a ruin. Marathas invaded and seized the fort. The other kings around the region fought with the Marathas for the hand on the fort. It moves from one reign to another for the next hundred years before ending with British. British used it as their military base. After independence, Indian army now uses a part of the fort. Also read: Check out the list of adventure destinations in Himachal Pradesh? The fort as a whole is a fine example of Islamic and Hindu style of architecture with Gujarati and Bengali architectural structures inside. Most of the architectural features were destroyed by Shah Jahan to build marble palaces. The fort has two main gates; The Lahore and Delhi Gate. Tourists should enter into the fort via the Lahore Gate. The Delhi Gate was once the royal gate. It is now controlled by Indian Military. The gate is decorated with white marble. You can find wooden drawbridge and a moat in front of the gate. The inner gate is called as Elephant Gate because of the two elephant statues on the side. Delhi Gate is however not open for tourists. The main building of the fort is the Jahangir Palace. This is the one of the beautiful structures built by Akbar, which still stands. This was built by Akbar for his Jahangir. The Khas Mahal is where Shah Jahan lived with Mumtaz Mahal. This was built with a mix of Persian and Islamic features. The walls are covered with gold and precious gems with floral inlay work. You can find ornamented walls and ceiling, alcoves, lattice window, ornamented fountain and much more. From the lattice windows, you can spot the Taj Mahal and the river. You can also find halls of Shah Jahan’s daughters. Musamman Burj is a tower in Octagonal shape. This is a fancy jail, where Shah Jahan was contained until death by his own son. It is said that Shah Jahan requested to be jailed in the tower as the tower has a good view of the Taj Mahal. Right next to the tower, you can find a wooden hall of private audience, also known as Diwan-i-Khas. This hall has marble inlay work, floral motif and Persian art works. This hall is famous for holding the Peacock Throne, in the past. This throne has the Koh-i-Noor diamond (one of the most valuable diamonds in the world) was initially located before Nadir Shah, a Persian invader looted it from the fort. Agra Fort is at prime beauty throughout the year. However, people prefer choosing winter season for its pleasing climatic conditions. The fort is open from sunrise to sunset. During government holidays, the fort tends to get very crowded. Children below the age of 15 are Free to enter. You can also hire audio guides from the booth, right next to the ticket counter. The cost of the guide changes with season. It would take at least an hour or two to explore the fort. You can also buy tickets for the sound and light show, which is conducted every evening. 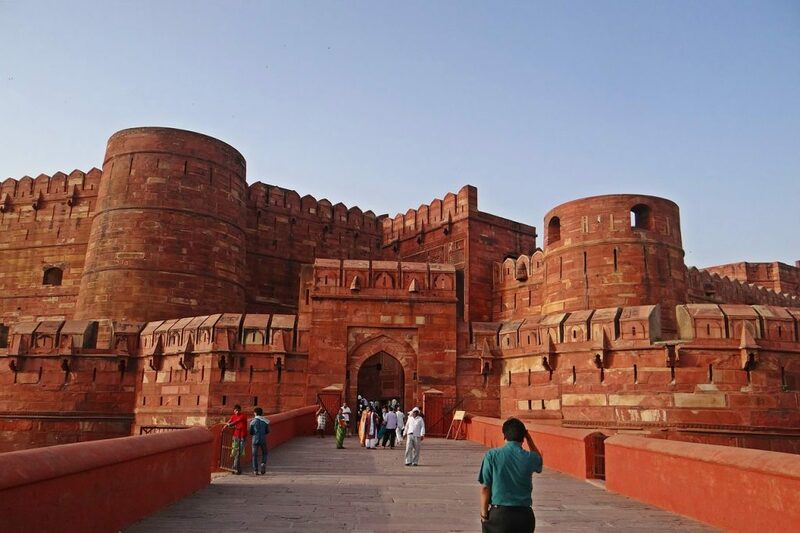 How to reach Agra Fort? Agra is very close to Delhi. Delhi has a busy international airport that connects many important international destinations with India. You can also find flights from every major city in the country to Delhi. From Delhi, you can choose to hire a cab, bus or train to reach Agra, which is 200 km away from it. Once inside Agra, it is easier to reach Agra Fort. This fort is located around 2.5 km away from Taj Mahal. 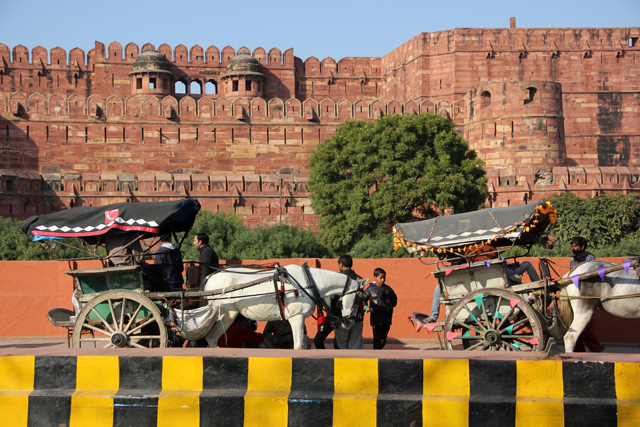 You can find auto rickshaws, cabs or other transportation from any part of Agra to Agra Fort. People usually combine Taj Mahal and Agra Fort visit, together. Taj Mahal is best visited during sunrise or sunset. So, Agra Fort is usually selected for a lazy afternoon exploration before or after enjoying Taj Mahal. Nice Blog, Looks like I am late here, good to read the wonderful travel experience.